Hi again! Here are another 3 days of my medals! 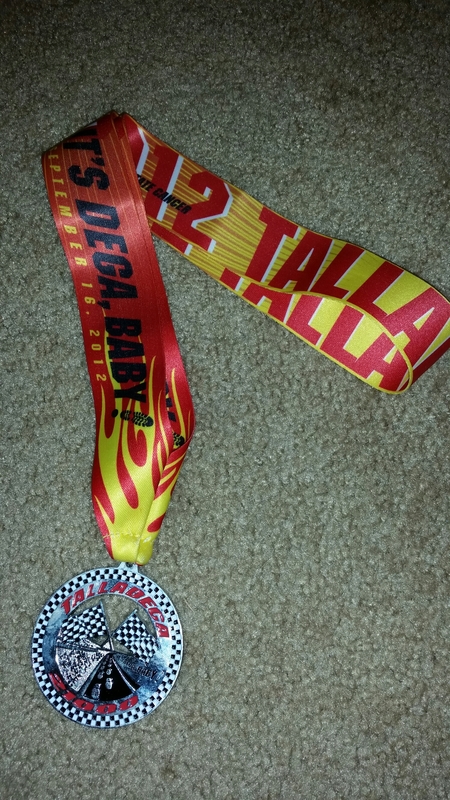 Half marathon #8 and my first race in Alabama. It was really fun running ON a NASCAR race track! Part of the race was around the parking area, but the majority of the race was on the track itself, around the grand stands, and across the infield! Post race party was in the garage area! 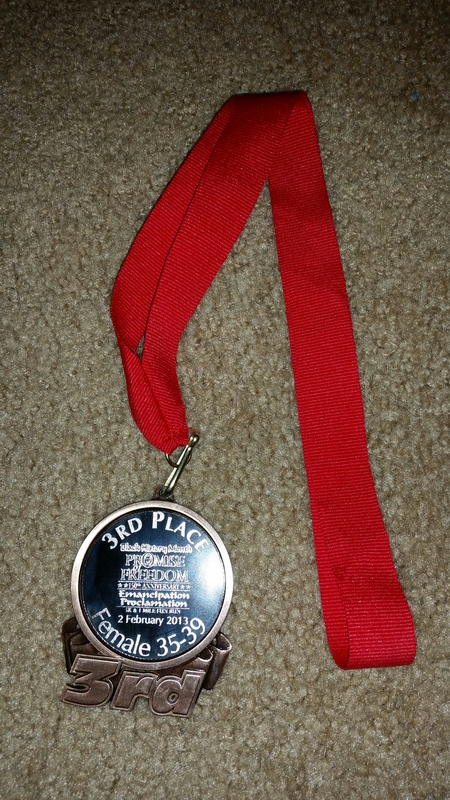 This was a new 5K PR for me and I placed 3rd in my age group so it was a doubly good race! This PR would only last for 2 1/2 months, however; my current 5K PR (26:13) was set at a race I placed 4th in my age group and don’t have a medal from. Half marathon #8 came just a week after my 5K PR and this race ended up being a new PR as well! It was an accidental PR on a super hilly course – I had just planned this to be a training ruin with support and a medal for my upcoming marathon. But by mile 10 I had figured out that if I maintained my current pace, I would PR. Once that thought is in a runner’s mind, it’s pretty much going to happen. My time was 2:14:03. 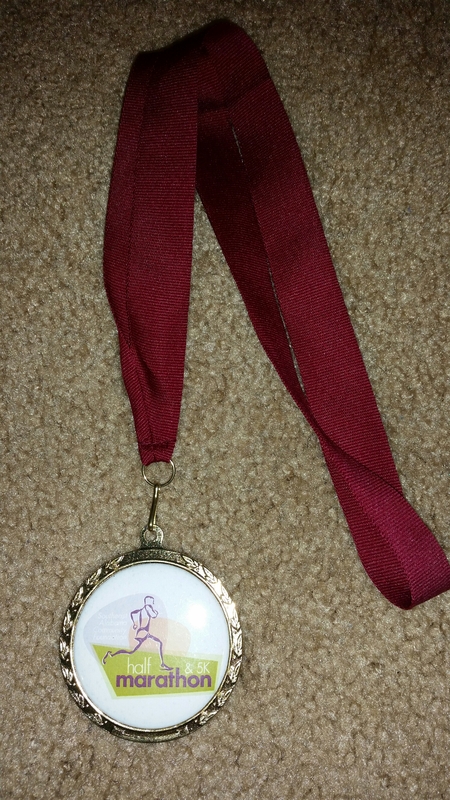 Check back soon for more medals!